Business 300 luggage is designed for the modern business person, who likes to travel with distinct sense of prestige. 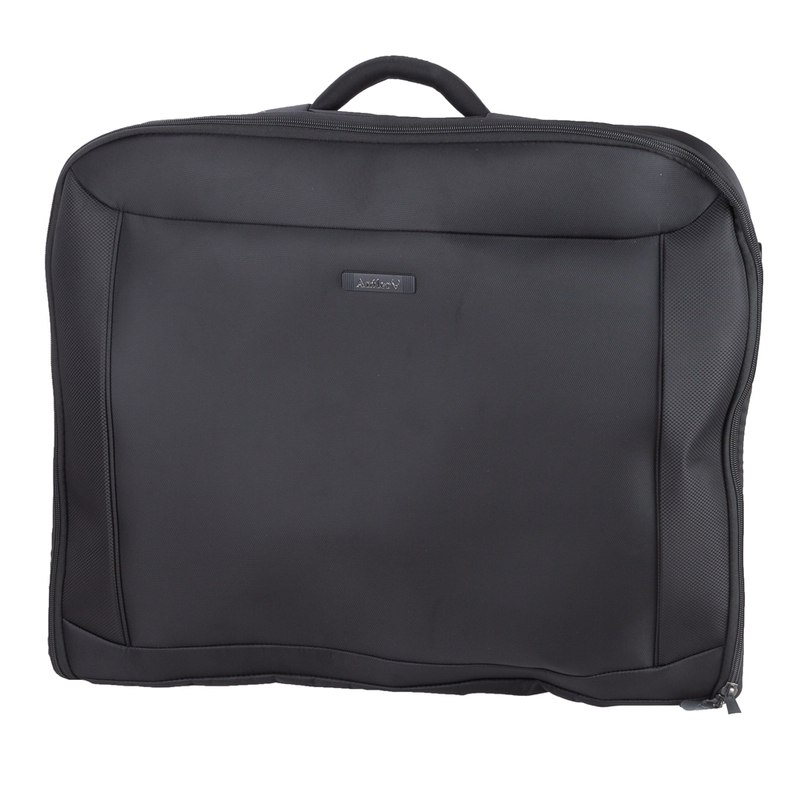 This range of luggage has a smart contemporary design and offers storage solutions for all kinds of business travel, as is evident with the Business 300 Garment Carrier. Crafted from hard-wearing polyester, this garment carrier is perfect for those always on the go. Featuring a classic professional business styling, this bag comes with two coat hangers for neatly organising your clothes, as well as multiple zippered pockets and compartments for complete organisation. Main compartment includes two coat hangers, an ID tag and four zippered compartments. Large zippered divider in main compartment separates your items. Hanging hook inside the small top zippered compartment. Dimensions: 60cm (l) x 53cm (h) x 8cm (w).